Fastway Courier Franchises are available to purchase in all states of Australia. You can buy a Fastway franchise for as low as $30,00 dollars (sometimes lower if the territory is not built up yet). Included in this price is a guaranteed income of $1,500 per week for the first 35 weeks but be aware that after this period you will only receive what your franchise courier area is making. Tip: Look for a franchise area that has the most businesses / commercial / industrial as opposed to private homes. The majority of your income will be produced from bulk pick ups from commercial properties, private address deliveries and pick ups take up the most time and fuel because you have to travel further distances to deliver your next parcel. Before you buy into any franchise you should seek professional help such as an accountant. 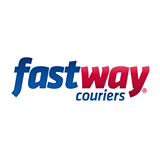 Visit the website to find available Fastway franchise locations or to request more information fill out the online form.